focused on saving enough to guarantee minimal survival for a relatively brief period of time. 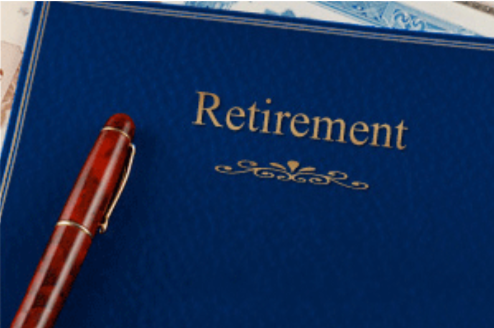 More recently, however, many individuals are beginning to recognize that for a number of reasons, this traditional view of retirement is no longer accurate. Some individuals, for example, are voluntarily choosing to retire early, in their 40s or 50s. Others, because they enjoy working, choose to remain employed well past the traditional retirement age of 65. And, many retirees do more than just rock on the front porch. Retirement is now often defined by activities such as travel, returning to school, volunteer work, or the pursuit of favorite hobbies or sports. This changed face of retirement, however, with all of its possibilities, does not happen automatically. Many of the issues associated with retirement, such as ill health, and the need to provide income, still exist. With proper planning, however, these needs can be met. The single most important factor in this changed retirement picture is the fact that we now live much longer than before. A child born in 1900, for example, had an average life expectancy of 47.3 years. For a child born in 2014, however, average life expectancy had increased to 78.9 years. The following graph1 illustrates this change. 1- Source: National Vital Statistics Reports, Volume 66, Number 4 – United States Life Tables, 2014, Table 19. August 14, 2017. Paying for retirement: Providing a steady income is often the key problem involved in retirement planning. Longer life spans raise the issue of the impact of inflation on fixed dollar payments, as well as the possibility of outliving accumulated personal savings. Social Security retirement benefits and income from employer-sponsored retirement plans typically provide only a portion of the total income required. If income is insufficient, a retiree may be forced to either continue working, or face a reduced standard of living. Health care: The health benefits provided through the federal government’s Medicare program are generally considered to be only a foundation. Often a supplemental Medigap policy is needed, as is a long-term care policy, to provide needed benefits not available through Medicare. Health care planning should also consider a health care proxy, allowing someone else to make medical decisions when an individual is temporarily incapacitated, as well as a living will that expresses an individual’s wishes when no hope of recovery is possible. that assets are transferred to the individuals or organizations chosen by the owner, but also that the transfer is done with the least amount of tax. Housing: This question involves not only the size and type of home (condo, house, shared housing, assisted living), but also its location. Such factors as climate and proximity to close family members and medical care are often important. Completely paying off a home loan can reduce monthly income needs. A reverse mortgage may provide additional monthly income. Lifestyle: Some individuals, accustomed to a busy work life, find it difficult to enjoy the freedom offered by retirement. Planning ahead can make this transition easier. Developing a successful retirement plan involves carefully considering a wide range of issues and potential problems. Finding solutions to these questions often requires both personal education and the guidance of knowledgeable individuals, from many professional disciplines. The key is to begin planning as early as possible.